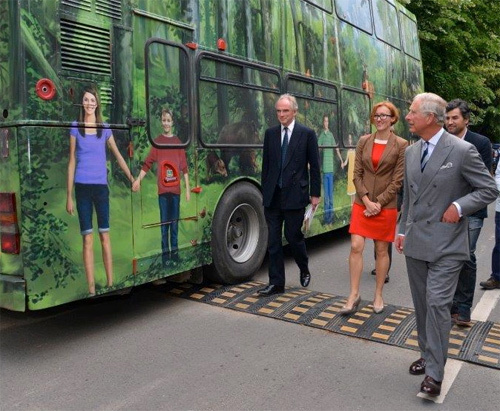 May 2013 – HRH The Prince of Wales introduced to the TENT Mobile learning Center in Bucharest. 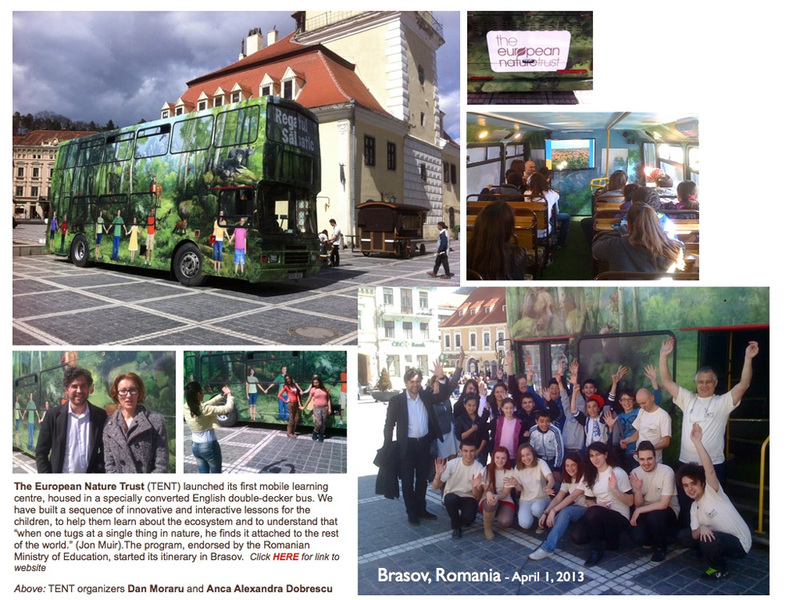 April 2013 – The European Nature Trust (TENT) bus launch-event in the main square of the Brasov Old Town was attended by Dan Dimancescu, Hnry Cnsl of Romania (Boston). Organizers Dan Moraru and Anca Alexandra Dobrescu coordinated the program with local official representing environmental protection and education authorities. University student volunteers participated in managing the event.